We've had a lot of changing conditions and winds lately. The gulf stream has moved back offshore, and the north winds started blowing again today. I fished the last few days out in the gulf, where we had nice weather with the strong south winds. It was maybe 1 to 2 feet and the water looked good. We caught a few cobias, lanes, muttons, yellowtails, and mangrove snappers. Had another large kingfish on yesterday, but pulled the hook. I don't think he was as big as the 68 pounder from a few weeks ago, but it was a solid 40-50lb fish. The cobias have been in the 20-40lb range. 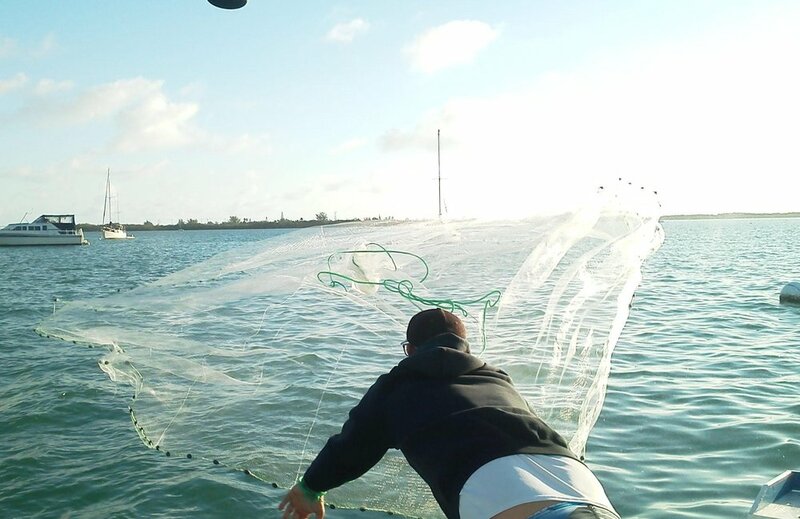 The tarpons started biting in the harbor with the warmer weather the last week, but this north wind may shut that down. I heard of a few of the boats caught 5 or 6 fish, so that's a good start to the season. Offshore has been hit and miss, with some kingfish, a few dolphin, and a few sails around. Hopefully this wind will blow itself out quickly. It's supposed to be a nice weekend with 10-15 knot winds from the north northeast. I have some open spots if you're looking to get out there. I can be reached at 305-923-6977. Here are a few pics from the Christiansen family from Tuesday. Nice cobia on the Ultralight!